Some good things never seem to go out of style or grow tired. Andy Shier spotted this van parked at the curb near his home in Pasadena and took this photo. 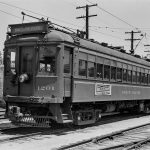 Andy was not able to accost the owner and get any details in regards as to the nature of the business and, or if, the owner is a Pacific Electric fan. 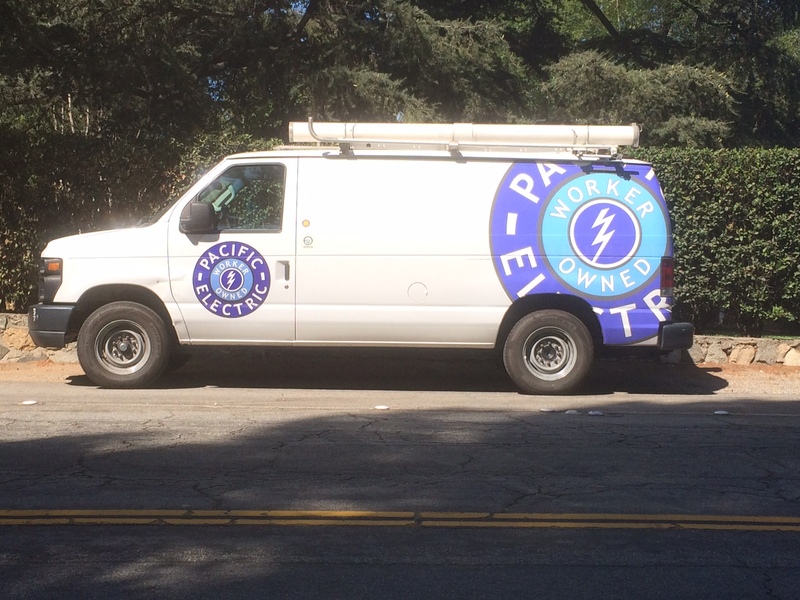 Editor’s Note: The company calls itself Pacific Electric Coop. According to their site, they are a IBEW union-affiliated electrical and solar contracting company based in Los Angeles. No mention of the real Pacific Electric on their site, but they’ve definitely appropriated the vintage logo for their branding. There’s a late-model truck I’ve seen in the Duarte area with the original PE logo on it. Is the PE logo and butterfly wings copyrighted in any way? Seems like a good idea for a line of clothing: T-Shirts, Caps, etc. etc. Orange Empire sells caps and other items with the PE herald (logo) on them. Since PE was officially absorbed into SP back in 1965, unless SP and then UP maintained the registration of it over the years, it’s probably considered “public domain” now. Please don’t reproduce anything unless you clearly lablel it with a maker, date, and the word “repro”. It drives people crazy trying to do research when they run into nothing but false claims about the origins of items. 1) Since the original Union Pacific went bankrupt and ended up in the hands of the public due to a failure to pay bonds, exactly what did the government sell to Harriman’s new Union Pacific and do they have rights to control logos that were defunct? 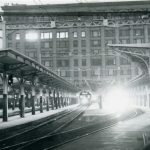 2) When the Supreme Court ordered the dissolution of the Central & Southern Pacific (under the SP Co of Kentucky), how did a lower government agency use an Ex Post Facto law created after the case was filed to hold the companies together..in short, is anything held by Southern Pacific in violation of a (still?) standing decision. I love these roads and was born within spitting distance of lines in L.A., but can’t for the life of me figure out the true legal facts about them. Even Huntington seemed to be switching properties and lines around to keep the whole shebang financially sound…and it obviously worked!